A migrant waiting near the US/Mexico border. Photo by Matt Malcom/Preemptive Love Coalition. Over the Thanksgiving weekend, one of our staff members traveled to the US/Mexico border to learn more about the migrants gathering there. These are his observations from his time there. As I arrived at the airport in San Diego to make my way to Tijuana, I was scared. I’ve heard what some have said about those traveling in the migrant caravan—that they’re desperate criminals, completely untrustworthy. I didn’t believe what people were saying, but it’s one thing to think about it, to disagree with it, from the safety of my kitchen while I drink my morning coffee. It’s another to walk alone across the pedestrian bridge separating San Diego and Tijuana in search of supposedly the most desperate people in the region. Originally I had assembled a small team of friends to go with me, but the plan was so last minute that by the time I reached San Diego I was alone. I was petrified. I wanted to turn around. But I also wanted to feel firsthand what it’s like to be displaced. What it’s like to have to leave your home. What it’s like to have a life where the journey by foot across the desert is a better prospect than staying where you and your family have always lived. Signs near the US/Mexico border. Photo by Matt Malcom/Preemptive Love Coalition. I began this journey with a sense of kinship and love for the migrants traveling thousands of miles in search of something better. But now, they were the other. I was frightened. Was my life going to be in jeopardy? The camp itself isn’t a very big area. There are a few proper tents, but most families are living together under carpets and tarps draped over ropes. The camp carried the strong stench of raw sewage and smoldering fires. The government had brought in portable toilets and tried to set up field showers, and I even saw Mexican Marines cooking food donated by an organization from the US. At the camp, I met Elma and her three children. She traveled to Tijuana alone from Honduras. Elma arrived the night before unsure of what she would find. When we spoke, her plan was to find work in the area, but she was already realizing that was an unlikely prospect. Her youngest daughter especially reminded me of my own. I imagined, without my wife, taking my child and walking from Central America to Tijuana. What types of pressures, types of uncertainty would I have to be facing at home to make a journey like this a better option than my home? She began explaining that her plan was to create a new life anywhere that would take her, anywhere that was safer than her home in Honduras. A woman and her daughter waiting near the US/Mexico border. Photo by Matt Malcom/Preemptive Love Coalition. I asked her if she came with the Caravan. It turns out she left before the main group, apparently unaware of their plan. It seems that she just fell in with the others, finding companions for an uncertain journey away from danger by chance. I asked her if she walked the whole way. “Si,” she said with a look of disbelief, perhaps only then realizing how far she had traveled by foot. She said she was hoping now to try to cross into the US. The local vendor warned her against it, saying the cost of living would be too high. Like so many of the people I met in Tijuana, it was simply the first city where there were unable to continue to their long track to something better. It was a space to regroup, plan, and rethink life. Now out of immediate danger, Elma was trying to understand what her options her, where she could go to take care of her children and afford to live. For now, she was safe. For now, she had some warm food. But as for tomorrow, it was clear she didn’t yet know where she would go, what she would do. Elma is one of some 7,000 migrants currently waiting at the US/Mexico border, waiting to see what could be next, what safety and life she can offer her children. 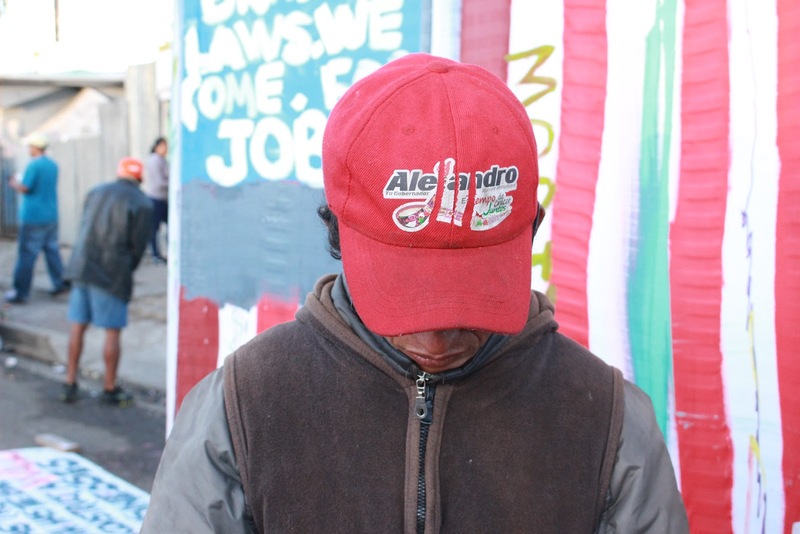 I came to Tijuana to sit with the migrants, to listen and learn their stories. I was warned by many to be careful, that it was dangerous, that I wouldn’t be safe. Instead, I found incredible hospitality. The director of the nonprofit who took me in and provided me with guidance. Local people providing for these new neighbors, offering food and help, even providing me with assistance when I needed it. I found a deep well of generosity and friendships I never expected. What I found across the border was welcoming and warmth, hospitality and humanity.